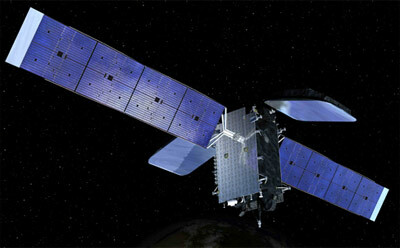 Amazonas 4A is spanish communications satellite to provide services to the south american continent. Amazonas 4A carries a payload of 24 Ku-band transponders with coverage of South America, from Venezuela and Colombia in the north, to Argentina and Chile in the south. Satellite design performance is 46 to 48.5 dBW throughout the South American mainland. The contract for Amazonas 4A and the higher power Amazonas 4B was signed in June 2012 with launch of Amazonas 4A scheduled for early 2014. Amazonas 4A suffered a power-subsystem malfunction shortly after launch, which resulted in a permanent reduction in the satellite’s capacity and a reduced operational life. Hispasat announced in march 2016, that Amazonas 4A will be renamed Amazonas 4 in light of the restructuring of the Amazonas 4B project into Amazonas 5. In December 2017, it was renamed Hispasat 74W-1.